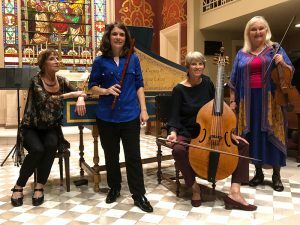 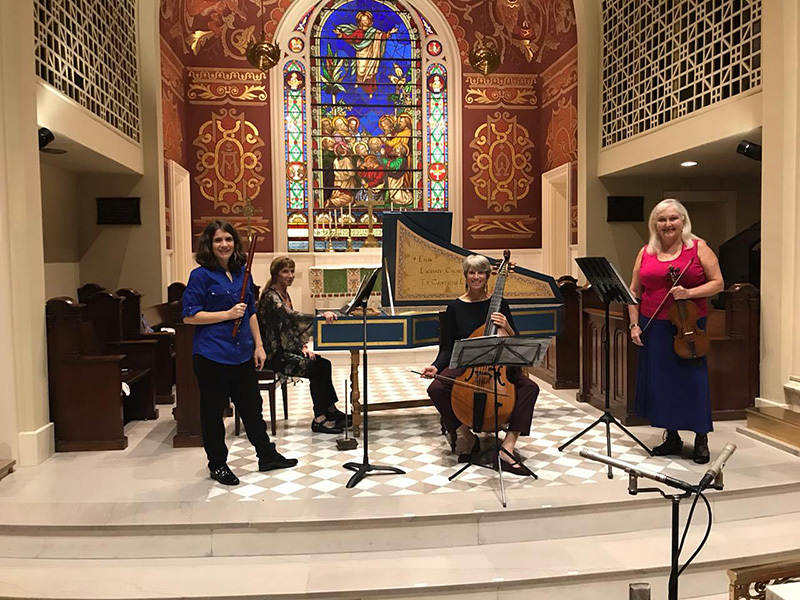 Members of Savannah Baroque played for the Savannah Philharmonic Spotlight Chamber Music Series at Ascension Lutheran Church in Savannah, GA on October 14, 2018. 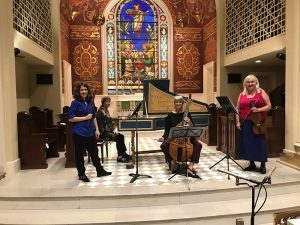 The performance was a hit! Members of both Savannah Baroque and the Savannah Philharmonic Jeana Melilli, Ann Cafferty, and Anne Acker were joined by Savannah Baroque member Marcy Brenner on viola da gamba playing a program on period instruments of Baroque trios and quartets by Bach, Albinoni, Couperin and Telemann as part of the Savannah Philharmonic Larsen Musician Spotlight Series.